senate suspends frsc speed limit policy. Dino Melaye's name has been submitted to Interpol for immediate arrest anywhere he is found, the police in Lokoja said on Wednesday. 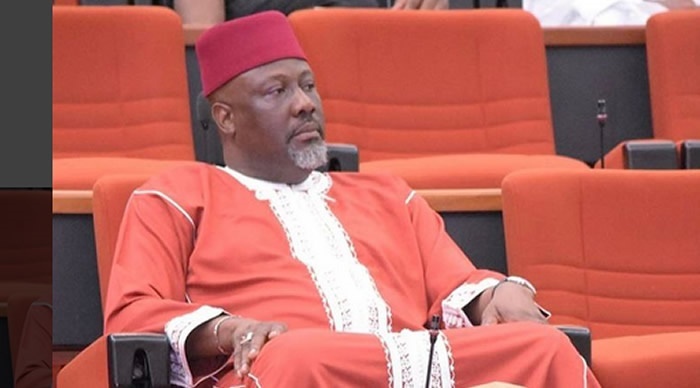 The police in Lokoja, Kogi State, says Dino Melaye's name has been sent for watch listing by Interpol for immediate arrest anywhere he is found. However, the Senator is not the only one whose name is in the list which was announced by the Commissioner of Police in the state, Mr Ali Janga. Janga also stated that the names of six suspects that escaped from a police detention facility in the state on Wednesday and that of Mohammed Audu were also in the list. A hunt for the fleeing suspects that were supposed to appear in court on Wednesday is on. Two of the suspects, according to the police boss, had alleged that Senator Melaye had provided them with arms they operated with. He appealed to residents to assist the police with useful information on the whereabouts of the suspects by reporting to the nearest police station. The police enjoined members of the public to go about their lawful businesses as the command was in full control of the situation and determined to provide adequate security for lives and property.